I had never heard of this pastry before, so I did some research. It's a Belgian specialty called sugar bread, usually eaten for breakfast. The dough is like a brioche, with tons of butter! When making the dough, it took a lot of patience when incorporating the butter. At first, it looked like the butter was just being smeared inside the bowl, not being mixed into the dough. But after a while, it all came together. I couldn't fine candied orange peel, and didn't have time to make it, so I just used orange zest and Grand Marnier. After rising overnight in the fridge, I set to rolling the dough. I love when the book introduces a technique in one recipe and then uses it again later. It's like, I know how to do that! Adding the sugar cubes was easy too. I found pretty purple baking cups and proofed the dough again. Baking was a breeze, and the dough rose up and got beautifully browned. The pearl sugar is a nice addition, both in taste and texture, and now I have enough for many more recipes. 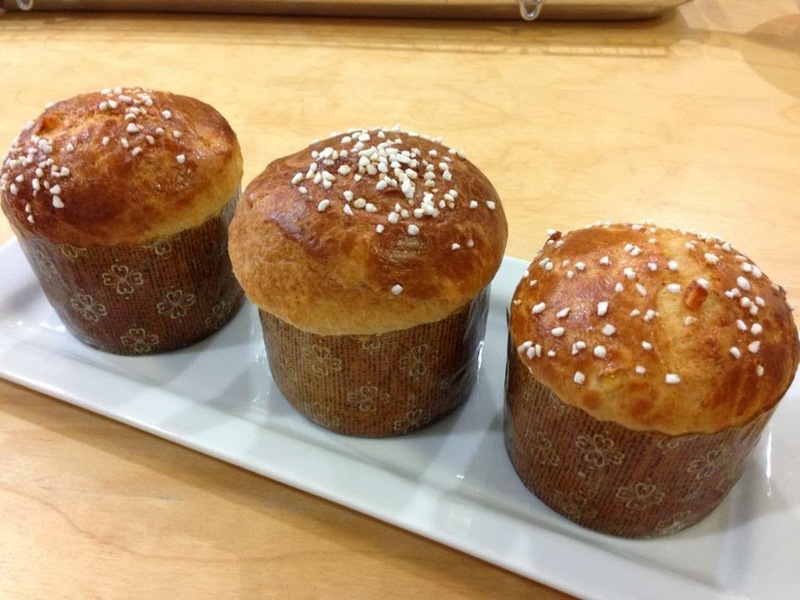 I tore into one while it was still warm, and the flaky brioche dough was lovely. The sugar cube inside was still intact, but had released its sweetness into the dough. Now I know why it's called sugar bread! I would definitely order this in a Belgian cafe with a cappuccino. The picture in the book of the Craquelin looked delicious and I couldn't wait to make this recipe. I soaked the candied orange peel in Grand Marnier and the aroma was delightful. I made the starter and it sat at room temperature for 10 hours since I had to go to work. Returning from work I made the dough adding the starter. 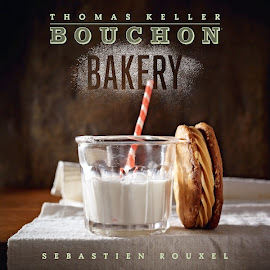 During the last four minutes of mixing the dough, it released itself from the dough hook. The dough was in a ball and I didn't need to scrap the bottom of the bowl. I gradually added the butter and it took at least 15 minutes to incorporate into the dough and it was just as it stated in the book; sticky. During the mixing process, the dough took a turn and looked like string cheese, it had now become strands of dough. I figured it had to do with the starter sitting out for 10 hours. I stretched and folded the dough and it sat for one more hour at room temperature. The dough rose and I pressed out the bubbles and refrigerated it overnight. In the morning, I checked the dough and noted it only rose a little and it was also firm. I left the dough in the frig for most of the day since I was going to Yountville with two other bakers to attend the Hoc-tober Fest. We stopped at Bouchon Bakery and I told Janine the head pastry chef about the starter sitting out for 10 hours and the current state of the dough. She said the yeast had done it's job in the ten hours and that it was still okay to bake the Craquelins and they would be fine. After arriving back home, I divided the dough and added the sugar cube in each one and put the balls into 6 paper panettone baking molds and six in brioche pans. The dough sat for two hours and it rose very nicely. I sprinkled the pearl sugar on and poped them in the oven. They baked for 21 minutes and they came out golden brown! I took a small bit out of one and noticed how the sugar cube melted in the center. The center was soft, flaky and sweet. The pearl sugar maked the top crunchy and the citrus flavor from the candied sugar peel was not overpowering. It balanced out the sweetness of the sugar. This ended up a success and thanks to Janine for encouraging me to continue to bake them. I will make these again! 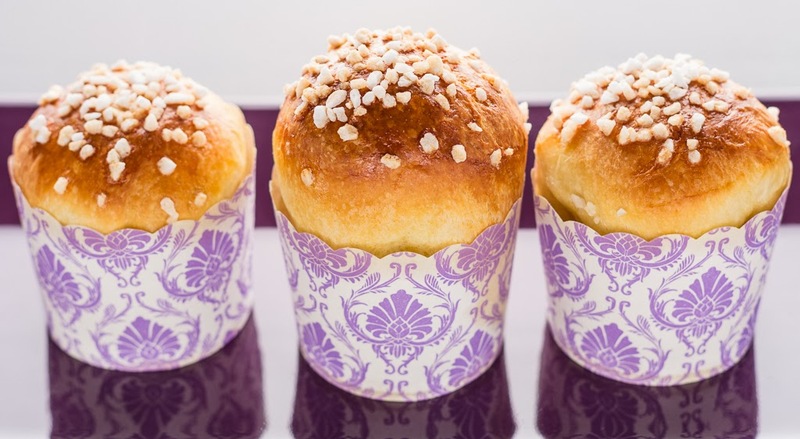 The Craquelin taste and look like a mini version of an Italian Panettone, the only difference is the size and the crunchy sugar cube in the center. The dough is very wet and sticky. The recipe said to add in the orange peel mixture by hand. I found it was so much easier just to add it in with the stand mixer and mix on low speed. I refrigerated the dough overnight just like making the brioche donuts to make it easier for handling. I modified the recipe slightly by tucking in some chocolate chunks along with the sugar cube. The ones with the chocolate chunks were our favorite. Since my kitchen was on the cool side, it took the full 2 hours for them to proof. It is not recommended to over fill or over proof the dough, proof only till the top of the dough is lined up with the top edge of the paper liner. The dough has a good rise in the oven, and will puff up about an inch over the edge of the paper liner. The craquelin buns have a soft texture and are delicious for a morning breakfast to go with a cup of coffee or hot chocolate. The recipe makes 12 buns, I would recommend making a double batch. The craquelins disappear quickly, you would be left wishing you had made a double batch.